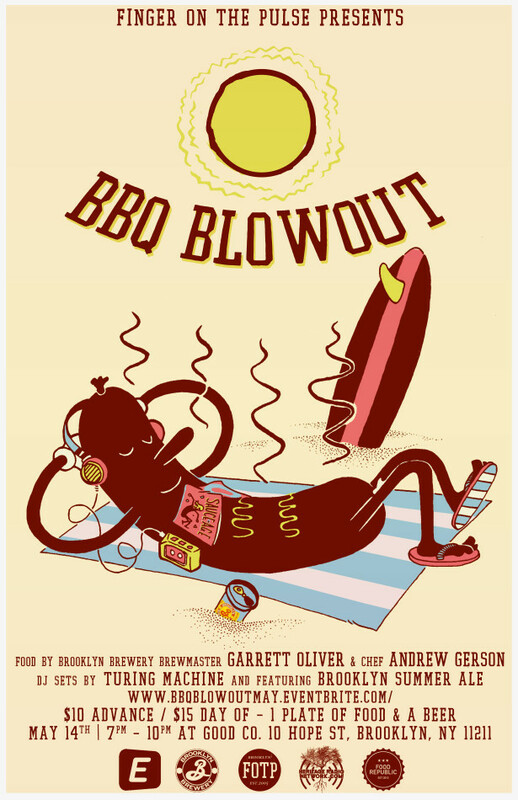 A “BBQ Blowout” is taking place next Tuesday, May 14 in Brooklyn at Good Co (10 Hope Street). Brooklyn Brewery brewmaster Garrett Oliver and chef Andrew Gerson will provide the food and drinks. On the menu will be Marrakesh Lamb Skewers, Israeli couscous with feta, mint, cucumber, red onion and Braised red cabbage with apples, red onion. Tickets are $10 in advance or $15 at the door.